The VICTOR is the first wall mount push-button control station to enter the TER line. It shares components and accessories with the MIKE series pendant controller. 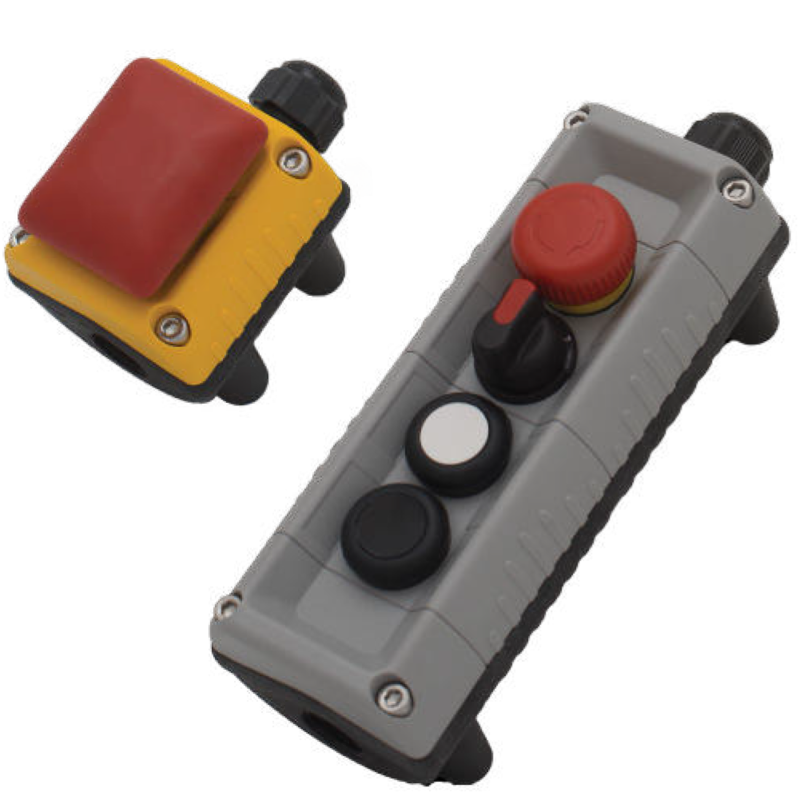 Available from a single push-button to an eight position setup, this controller brings versatility and quality to any environment requiring motion control. By mounting the cable inlet and switches to the base, and mounting the actuators to the cover, we’ve made wiring up the VICTOR easy and clean. The VICTOR push-button controller offers both single and two speed actuators, and up to three contacts per actuating position. In addition, VICTOR controllers can be outfitted with a variety of accessory items such as potentiometers, illuminated selectors and push-buttons, as well as key operated actuators.